I was recently back in the college town of Chapel Hill, North Carolina for another round of training with my very-valued client, Chapel Hill Tire. Chapel Hill Tire is a first-class operation in all they do. Like all clients, I consider the store owners Marc and Britt Pons, both friends and family. After another productive day, Marc and I went out for our usual post-training dinner. Entering the restaurant, our first impressions were favorable. And the meal didn’t disappoint, with delicious steak and equally enjoyable sides. As we settled into the upscale, elegant environment, something occurred that has happened to us all countless times before: the waitress checked in with us mid-meal. Wow! As I’m sure you’d agree, “wonderful” is a much higher standard than “okay.” I suggest that if you’ve set the bar at “okay,” you’ve set the standard for mediocrity, at best. 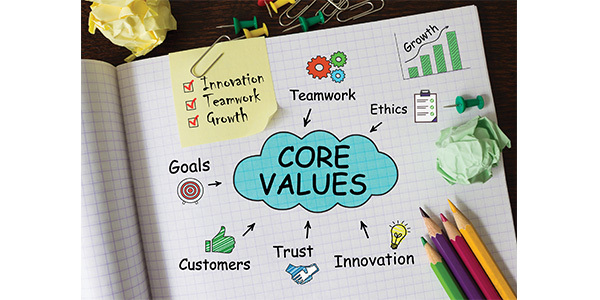 A set of core values is the foundation of a company’s culture. They establish standards for proper decision-making and help employees understand why certain rules are in place and what they need to contribute to make the company successful. • What is our company’s broader purpose or reason for existence (beyond making money)? • What do we want be known for? • How do we want to treat customers and employees? As an example, the first of the ten core values at the mega e-commerce retailer, Zappos.com, is: “Deliver WOW Through Service.” This core value is embedded in the Zappos culture and all employees are expected to live this on a day-to-day basis and in every customer interaction. Once your core values are defined, you must have a clear plan. What are the specific sales and customer service goals you’re trying to achieve? Again, your executive leadership team should brainstorm and define a top 5 or top 10 list of realistic goals. This is the “what to do” part. 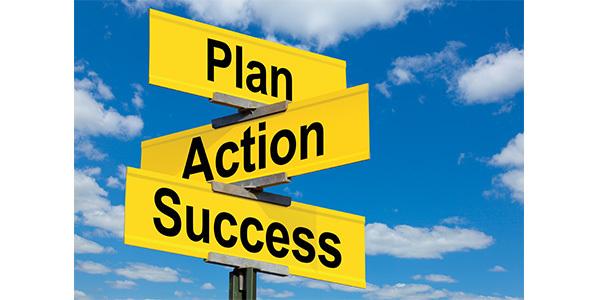 As the famous quote states, a goal without a plan is just a wish. Accordingly, you must then define the specific actions that are required to achieve these goals. This is the “how to do it” part. Employee behaviors (what they are doing) and execution (how they are doing it) should be actively monitored and managed. When behaviors or execution are substandard, managers should provide the guidance and coaching to get the off-course employee on the winning track. I cannot emphasize the importance of this step enough. All too often when faced with under-performing employees, managers will focus on the desired outcome. Like “We need more sales!” They should be focusing on the behaviors and execution required to achieve that desired outcome. Encourage personal responsibility, but be prepared to hold employees accountable when coaching and guidance fails to keep under-performing employees moving in a positive direction. A favorite management maxim of mine is: “You can’t get mad at an employee for doing something you didn’t tell them they couldn’t do.” With this in mind, it’s critical to establish non-negotiable standards so employees are fully aware of what is required to successfully fulfill their job responsibilities. These “non-negotiables” are pre-determined performance standards to ensure consistency among all your employees and enable predictable results. They are not like to-dos or should-dos. They are the must-dos. As an example, the sales process I train clients on regarding their phone-based sales interactions has been proven to be successful in improving the customer experience, increasing customer engagement and winning more sales. Therefore, this sales process is treated as a non-negotiable standard, as each employee must strive to effectively execute it on all of their tire and service sales calls. If a given behavior is producing positive results, such as enthusiastic customers at a particular location, that behavior can (and should) be duplicated across all company locations to achieve the same results. Keep this in mind to create best practices and determine your non-negotiable performance standards. While goals and the performance standards to achieve them are essential to success, so is training. 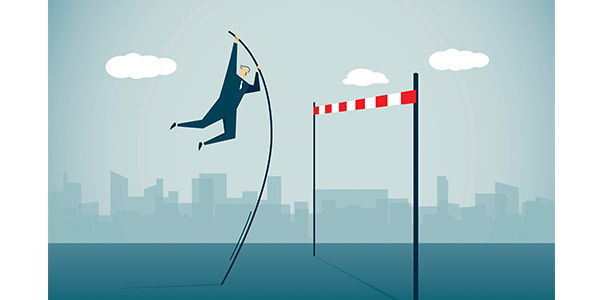 You can define goals and the actions required to achieve them, but if employees lack the skillset to effectively execute, you will achieve subpar performance at best. Not training your staff is a major mistake. Successful selling, customer service and leadership are skills that must be developed to achieve peak performance. When employees are properly trained, their confidence level increases, they are more effective in their roles and results improve greatly. In every organization, there are A players, B players and C players. Your A players are your top 20% and literally represent the MVPs of your business. They consistently do the right things the right way, consistently achieving peak performance. Celebrate success and use these A players as examples of the outstanding behavior you’re aiming to achieve throughout your organization. In doing so, be specific with the actions the high-performing employee executed that are aligned with the core values and performance standards you’ve established. By acknowledging and rewarding excellence, you’ll reinforce effective behaviors and encourage the same in all employees. In the best-selling business book “Good to Great,” Jim Collins famously published, “Good is the enemy of great,” detailing how truly great companies relentlessly pursue excellence. With that in mind, challenge your team to eliminate complacency and the “status quo” mentality that believes “I’m okay – we’re okay – everything is okay” as is. Promoting greatness must be an intentional effort that begins and ends with your workplace culture. Along with “spotlighting excellence,” leaders must clearly and consistently communicate the importance of progress and promote a culture of continuous improvement in every aspect of the business. As I often say, if good enough is good enough, then you’ll never achieve greatness.